Valentine’s day is on its way. What better way to express your love than standing tall and holding good posture? It is well documented that animals use posture and other body language to attract a mate. The peacock spider does a samba dance; the flamingo stands tall, lengthens its neck and hopes to get noticed. 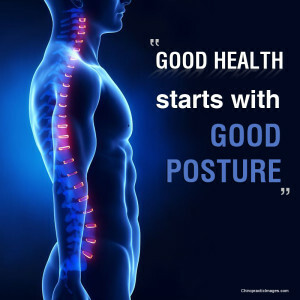 The bottom line is your posture matters! Doing the wall test throughout your day is an easy way to check in on your posture. If you find that it is extremely difficult to maintain that posture it may be a good idea to visit your physical therapist on how to correct and maintain good posture. A physical therapist can provide you with exercises that support strength and alignment. Additionally, new research concludes that posture also affects what we think about ourselves. Amy Cuddy is a social psychologist that shows how “power posing” (standing in a posture of confidence) can impact our chances at success. So this Valentines Day, be mindful of your posture. Stand tall, pull your shoulder blades back and down. Keep your earlobes over your shoulders. Pull your belly in, lift your weight upward off the pelvis. And most importantly, smile at your sweetheart. Happy Valentine’s Day!